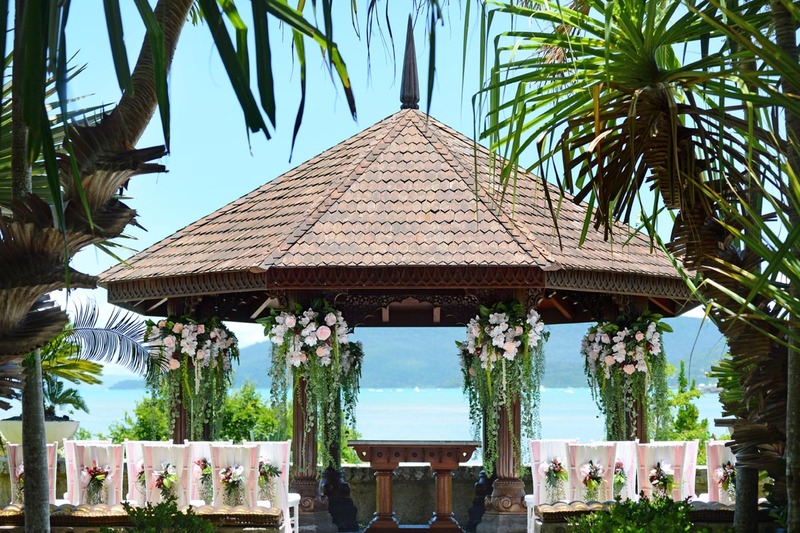 Villa Botanica is easily the ultimate wedding venue in the Whitsundays. It’s set in a stunning location and was voted Queensland’s best wedding venue. With the property up for sale, however, weddings have been scaled back for 2016, so it’s best to jump in while you can. A testament to Villa Botanica’s inevitable closure is their offering ceremony only packages for 2016. But if you want one of Australia’s best wedding venues, and a place where the staff will treat your guests like royalty, then look no further. It is easily the best venue for photography, despite a tight timeline. Photographs of the bride after she is dressed are second to none in Australia, in our opinion. Many guests remark that Villa is the best wedding venue that they have ever been too. Both the gardens and main house are picture perfect. As Whitsunday’s premier wedding photographers we have been be spoiled being able to photograph weddings in such a perfect location. With its edge of the Coral Sea location and beautiful palm trees, weddings at the Coral Sea Resort always look and photograph spectacularly. It’s a beautiful location and the jetty looks great in photos too. If you’re having a small, intimate wedding, then you get to choose if you’d like to have it on the jetty. It really is a unique dining experience for your guests and one that they will surely remember. Hayman Island has always been a bit exclusive, and offers truly stunning surrounds, but is even more idyllic after their major redevelopment when they became One and Only. Hayman Island will offer your guests an experience that is just that little bit better and more exclusive. One location, many options, and great photographs. 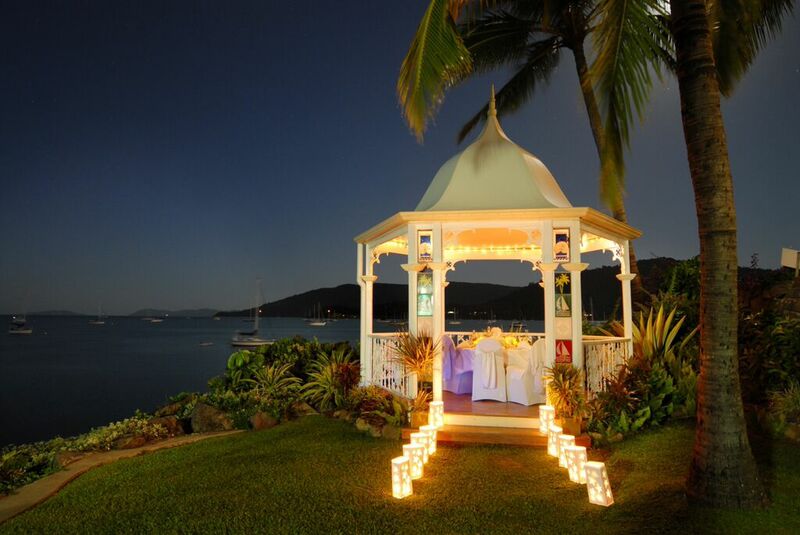 Although a little dated, Daydream Island is a very good venue for wedding photography. Guests with children will totally Daydream Island. It has everything a child could want, and their parents too. With two locations for weddings, the Chappel and the beach, there is adequate choice. Where this island really stands out is its spectacular sunsets. The old jetty near the outdoor theatre is where you want to be when the sun goes down. Additionally, couples who choose to have their reception at Lovers’ Cove, will treat their guests to a great outdoor dining experience. Waterline on Shingley Beach is a great reception option for a Whitsunday wedding as it’s so central to a number of wedding photography locations. It also overlooks the beautiful Shingley Beach and boats mourned at the Able Point Marina so guests are sure to love its location. It is also right in the heart of all the good wedding photography spots in Airlie Beach, so you know you will get stunning wedding photographs. You can’t go wrong with a wedding at Australia’s best beach (and the third best beach in the World). 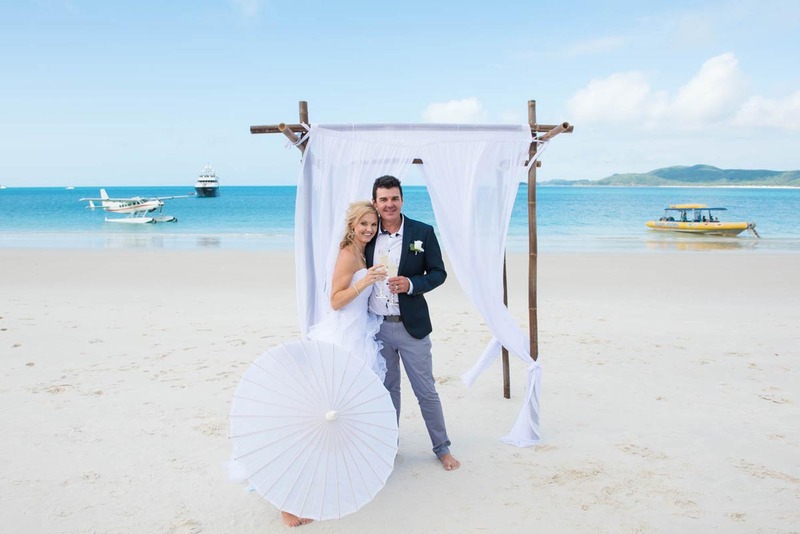 With pristine beaches, and sand that doesn’t get hot, Whitehaven Beach has to be the first choice for the couple wanting a beach wedding. You can choose to get their by sea plane, helicopter of boat. And it’s not just limited to couples who are eloping. 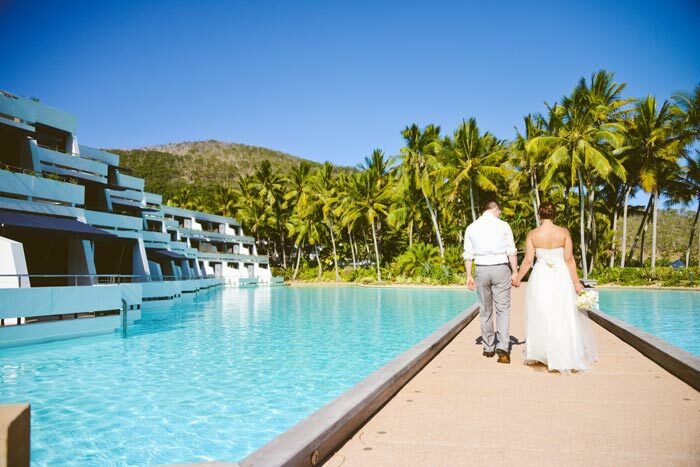 Have your ceremony at Whitehaven Beach, where your guests can enjoy the third best beach in Australia, and then come back to Airlie Beach, or one of the islands, for your reception. The Cape Gloucester Beach Resort is situated in Hydeaway Bay. Hydeaway Bay is a bit of a secret wedding location that locals make good use of. And with good reason. It has stunning beaches, that aren’t crowded, and sunsets that are second to none in the Whitsundays. Most couples have their ceremony and reception at the Cape Gloucester Beach Resort which itself is set right on the beach making the most of the gorgeous coastline that mother nature has created. WHY NOT LOOK A LITTLE FURTHER AFIELD? 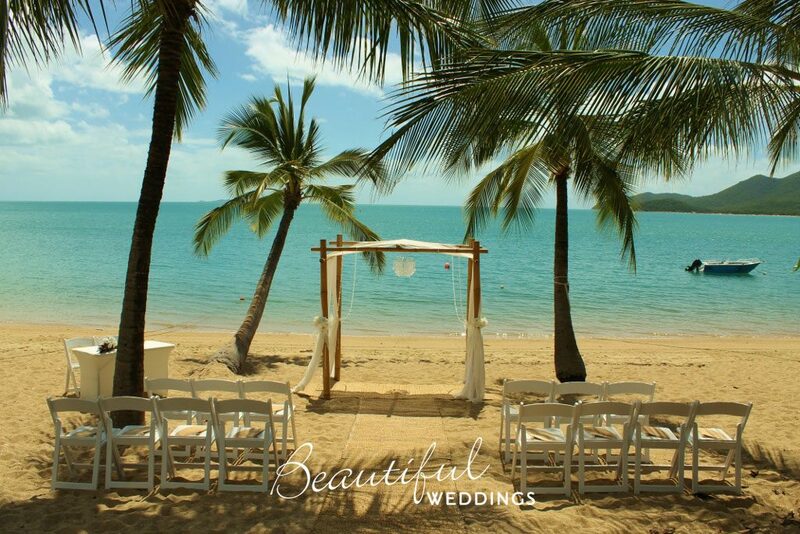 If the Whitsundays are not to your liking, why not look a little further afield a think of having your wedding in Mackay? Mackay offers a good seaside location, and is super easy for guests to fly into. Cherish Photography offers good packages for couples having weddings in Mackay.